Please note significant road closure information during the St. Jude Rock and Roll Marathon that will affect access to the Museum and parking on April 27-28, 2019. Visit the Marathon website to view closures and download a PDF Map. There is no admission charge to the Tennessee State Museum’s permanent and temporary exhibitions. Parking: Free parking is available in the parking lot which is located between the Museum and the Nashville Farmers’ Market. There is also free two-hour parking available along 6th and 7th Avenues. On weekends, visitors may also park free in the state employee parking lots around the Bicentennial Capitol Mall State Park. Walking: The Museum is conveniently located just one block west of the Downtown Greenway trailhead and adjacent to Bicentennial Capitol Mall State Park. Walking Tour maps that include tours of both downtown as well as in and around the area are available for purchase at Nashville Civic Design Center for $5. Biking: Bike racks are located at both the 7th Avenue and 9th Avenue entrances to the Museum. There is also a Nashville BCycle bikeshare dock located on 7th Avenue at the entrace to the Farmers' Market Market House. Bikes can be rented at Nashville BCycle. Click here for more information about rates and stations. Public Transportation: WeGo Public Transit (Formerly Nashville MTA) Nos. 42 (St. Cecilia/Cumberland) and 22 (Bordeaux) go to the intersection of Rosa Parks and Jefferson Street. In addition, the free Music City Circuit Nos. 60 (Blue) and 61 (Green) stops near the Farmers’ Market or at Jefferson and Rosa Parks Blvd. Click here for more information on route and hours of operation. Hop On Hop Off Tours are offered by both Old Town Trolley and Gray Line tour companies which have a stop near the Museum at Farmers’ Market. 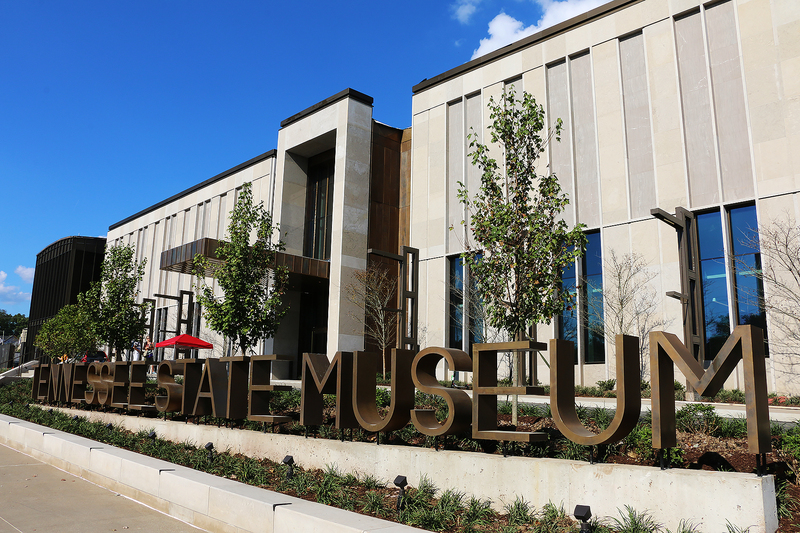 Driving: The Tennessee State Museum is conveniently located at Bicentennial Capitol Mall State Park, at the corner of Rosa L. Parks Blvd, and Jefferson Street, northwest of downtown Nashville and the State Capitol. Click here for detailed information. 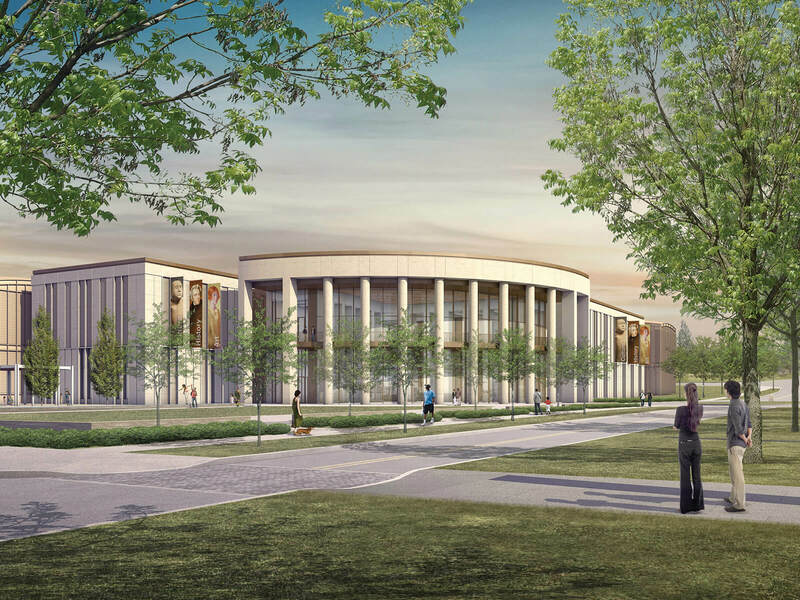 Come for a visit and explore our spectacular new building! Policies: The Tennessee State Museum strives to maintain a safe, comfortable, and respectful environment for all visitors. We also take our role as guardians of the objects in our collection very seriously. Therefore we have put policies in place to help protect our exhibitions from the possibility of potential harm. The Museum provides lockers at the Visitor Desk. All parcels, umbrellas, and bags larger than 11” x 15” must be checked, including backpacks and backpack-style child carriers. Photography is allowed in the Museum, but you must turn your flash off. Some special exhibits also prohibit photography. When a special exhibition prohibits photography, a sign stating the ban will be placed at the beginning of the exhibition. Follow this link for photography requests and copyright information. Bicentennial Capitol Mall State Park: The Tennessee State Museum sits on the northwest corner of the Bicentennial Capitol Mall State Park. The park gives visitors a taste of Tennessee’s history, natural wonders and serves as a lasting monument to Tennessee’s Bicentennial Celebration, which was June 1, 1996. With just a simple walk in the 19-acre park visitors can experience many facets of Tennessee’s history including a 200-foot granite map of the state, a World War II Memorial, a 95-Bell Carillon, a Pathway of History and the Rivers of Tennessee Fountains. The 11 planters along the Walkway of Counties show native plant species from different regions of the state.